Getting your self organised before any shoot is essential. Start by putting together a checklist for you and your clients. The clearer the communication is up front, the more satisfied you and your clients are. Contracts – Be sure any contract stating final pricing, proofs and print orders is finalized and signed. The Legal Guide for the Visual Artist is a good source for contract templates. Deposits – As with any business, getting some monies up front will prevent any losses on your time and cut down on cancellations. Cancellation - Before booking be clear about your cancellation policy terms including timeframe and fees that may be incurred with the clients if it is a a client shoot. 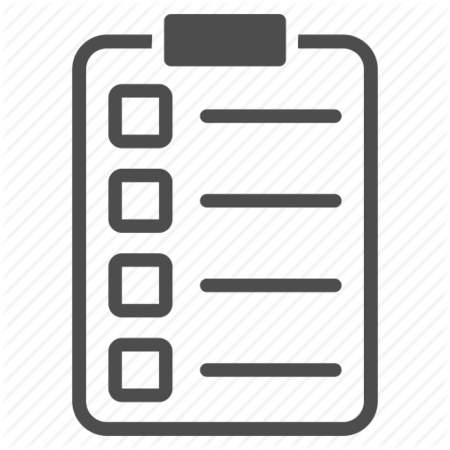 Equipment Check – Review each piece of equipment to make sure they’ll be no breakdowns. Have a back-up camera, rechargeable batteries and a charger on hand. Weather – If you've decided to do outside location shots, check the weather report diligently. Make sure you have a back-up date booked with your client in the event of bad weather. You’ll also want to do a pre-scout of the location to check the lighting conditions at various times of day. Permits – Some public locations may require permits. Check with your local municipality on policies for where you’ll be shooting. You won’t want to be in the middle of your shoot only to be halted by authorities. Shotlist – Having a detailed shot list will ensure that you've covered every type of image your client wants. Review it with them to be clear that you’re meeting their expectations. photographer-shooting-female-model-brick-wall Wardrobe Overall request your client bring around 5-6 changes of wardrobe ranging from casual to dressy. Jewelry – Keep it to a minimum. Even if a bracelet or necklace is a good luck charm or was a cherished gift, ask they remove it for some of the shots. Watches are also extremely distracting. Clothes – Have them wear solid colors. Nothing detracts from a subject’s face more than clothes covered in busy patterns and prints. Also advise them to wear clothes that fit them well. Accessories – Hats can change the look of a subject’s portrait too. Look for fun and interesting hats to have on hand as props. Shoes – Even if the shoes don’t show in the shot, the right shoes can change the way the subject stands. It also gives them height and adds a bit of drama. Ask female subjects to bring along at least one pair of shoes with the highest heels they have. Hair & Makeup Request your subjects cut back on any sunbathing to avoid skin problems such as peeling. Makeup, filters, or Photoshop can correct minor skin issues but they are not magic! Hairstyles – To provide a variety of images, ask your subject to change their hair as they change their wardrobe choices. Try hair up, down or pulled back.